NORTH WEBSTER — New networking opportunities for members and election of people to serve on the board of directors were at the top of the agenda at the North Webster-Tippecanoe Township Chamber of Commerce monthly membership meeting held Monday, Oct. 8, in the chamber office. President Jim Smith, Loose Moose Motorsports, presided. “The ambassador committee is hosting its first Third Thursday After Hours event,” announced committee chairman Mindy Scaggs, Re/Max Lakes REALTORS. “It will be held from 4 to 6 p.m. Thursday, Oct. 18, at Barbee Landing, 3687 N. Barbee Road, Warsaw. All chamber members and their employees are welcome for food, drinks and networking. Board members will hold a ribbon cutting at 3:30 p.m. the same day,” she reported. Ballot results were announced by Jen Ducey, Tippecanoe Township, nomination and election committee chairman. Reelected to board seats were Brenda Peterson, Lake City Bank, Linda Land, Lake-Land Cottages, and Martha Stoelting, The Papers. New board members chosen were Emily Shipley, Todd Realty-North Webster, and Scaggs. The entire chamber membership was eligible to vote for board members. An update of the chamber’s QuickBook app was approved by the board. Vice President Amanda Meerzo and Treasurer Peterson have spent many hours with the old app, trying to get it to cooperate. After they explained the problems, the board agreed to the update as soon as it was feasible. Much discussion ensued about the holiday decorations the chamber provides on Pilcher Shoe’s lawn during the holiday season. Chairman Karilyn Metalf, Dixie Sternwheeler Inc., has been looking into some options. Decorating the large evergreen tree on the lawn is becoming a problem due to its rapid growth. The Nativity scene will return. The town of North Webster has purchased lighted snowflakes for the street lights that will coordinate with the winter banners. The group will report back on lighting the large evergreen or getting a grouping of three living trees to decorate. Metcalf will secure additional information as will Sue Ward, Sue’s Creations, Paula Miller, Paula Miller Farms, Tammy Waliczek, Dixie Haven Resort, and Meerzo. 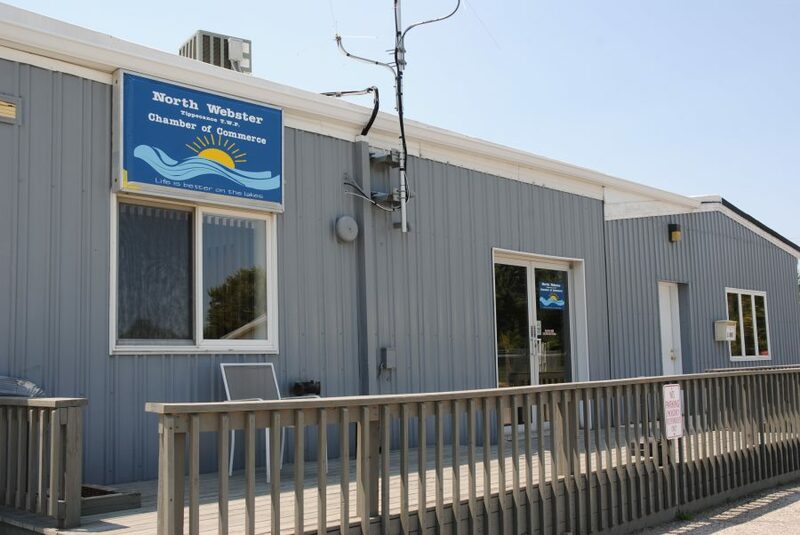 A proposal was brought to the council by Clear Vision Media for a virtual tour of North Webster’s downtown and key locations to be available online. Smith and Ward met with Chris Sanchez of the company and will invite him to a special board session for a presentation on two options. A discount for chamber members is possible. North Webster Community Guide Books have been restocked at NewMarket and Heart of the Lakes Antique Mall, said Ducey and Miller. The proof of the chamber’s Dixie Day ad for the Indiana Festival Guide was passed around for all to see and correct. Membership renewal invoices will be coming to the current chamber members soon. This is the first year for automatic renewal. Members should check the information is correct as it will be published in the community guide. A discount is available for early payment. The next meeting of the chamber of commerce will be noon Monday, Nov. 12, in the chamber office at the Tippecanoe Township Building, 102 S. Morton St. All members are welcome to attend.